Adding paddle shifters to facelift w204? After some research I found some old threads discussing adding paddle shifters to the w204. Most of these threads seemed to involve upgrading the older style wheels to the AMG wheel and date back to 2011. From what I gather it looks like it should be possible to add these in to a w204 with the newer wheel style. 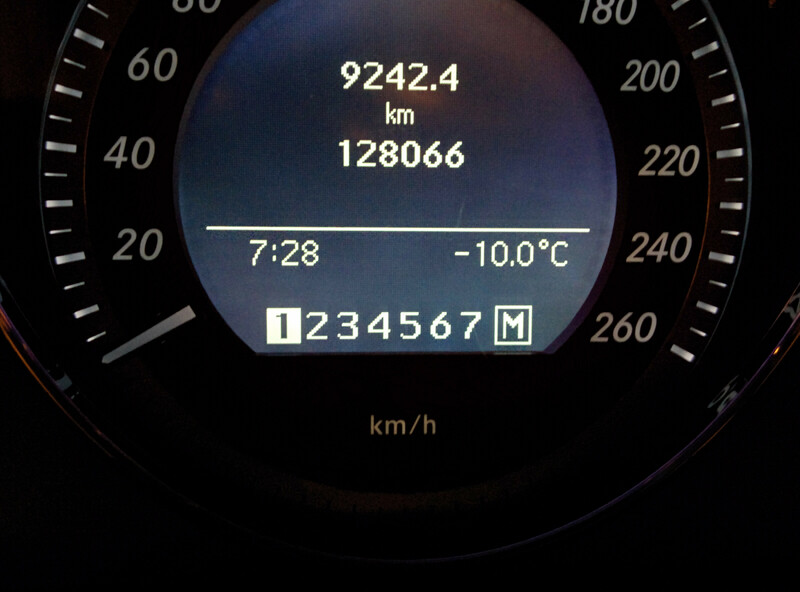 I've seen videos even showing the gear number displaying in the instrument cluster. The paddles can be purchased as a pair and some coding is required to enable full manual mode. I would guess this coding could be done even without the shifters as it should work from the center shifter knob as well. What I'm not sure about is how to install these on to the newer wheel style. It appears it may just require drilling out a mounting hole and being plug and play. The other option is to get a whole wheel assembly which gets very expensive. 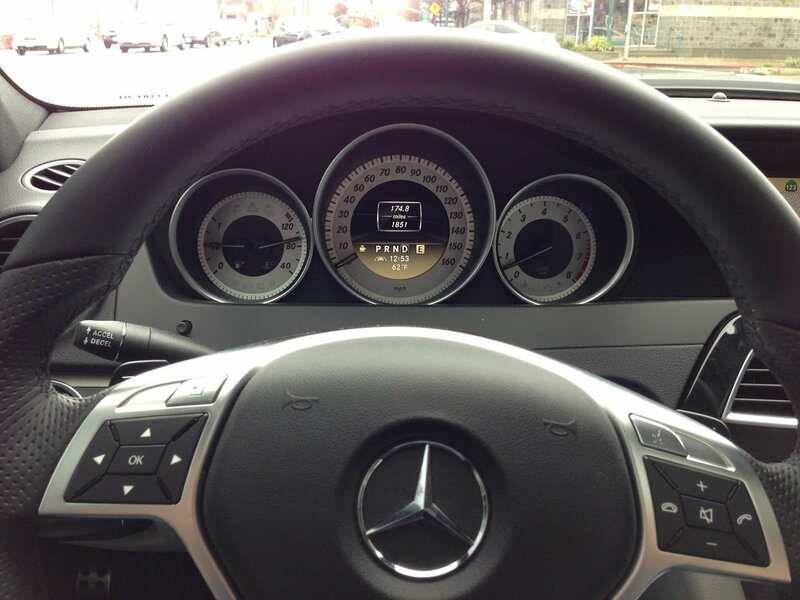 I've driven enough mercedes now to come to appreciate the shifters. As wonky as the transmission adaptions and throttle response can get the manual mode makes it right. You get fast responsive throttle response in M mode. Passing on the highway becomes fun instead of a guessing what the car will do game. Just hold the downshift lever and the car drops to the most powerful gear. Well, looks like I'm committed to the job. I ordered a used set of paddles off of ebay. They didn't cost much more than the add on extender levers. If anyone has knowledge or experience I'd be happy to hear. Last edited by michail71; 04-17-2016 at 05:42 PM. i have a 2013 c350, would also like more info on paddle shifters!! There appear to be a couple more pairs left on ebay. From what I read I'll need to take the wheel off, drill some holes to screw it on and pass the wires through. Early threads seem to indicate it's plug and play from there. With my luck the later models will probay require replacing half the car, lol. If all goes well a simple coding should enable the full M mode. Which allows for real upshifting and cluster display. After reading some more it might be too difficult. It may require running wire from the wheel to the shifter. There was mention of some cars being pre-wired. There is also mention of just plug and play with a C63 steering wheel. But those threads are kind of old. I'll open it up first to see what's in there but it doesn't sound promising. I'm researching part diagrams now and found something interesting. It looks like there are two part numbers for each of the steering wheel control switches (the display controls on the left and the phone, radio on the left). They only differ for the for with or without paddle shifters. The part number for the right switch in black with paddle is 17254003629107 . Without paddle it is 24690550009107. That was the only difference I could find in setups with the paddles. Also, all of the parts excluded C63 setups. I wonder if the paddles hook into the switch assemblies somehow? Considering there are reports that the C63 wheel is plug and play for the shifters it makes sense. this is going to be interesting going from no paddles to paddles seems like something I want to learn more about hahaha so I'm posting this to subscribe. I'm surprised nobody has tried this in a while. If successful I would hope upshifting becomes available after coding. Without a manual mode these cars only downshift or return to auto. Someone jaked the buttons into the shifter wiring but I'm suspecting that isn't the right way. People tend to replace the older wheels not not mess with these newer ones so much. Considering there are other button internals that differ along with the actual wheel I decided to order a used wheel from Bulgaria with paddles and will see how that goes. Who know what kind of wiring is going on in there. I'll examine the differences when I get them side by side. This should be interesting, lol. If this doesn't work it will be a learning experience. Looks like it should work out. In this thread, https://mbworld.org/forums/c-class-w...heel-swap.html, the OP swapped out the older style wheel and accidentally got working shifters. subscribing this should be plenty interesting. Hopefully interesting in a good way. As of now my only worry is coding. It seems many non-paddle pre-facelift w204s just worked plug and play with paddle shifters from the facelift wheel. All the info I can find involves the 7g tronic and not the 7 g tronic plus. My second worry is the quality of the used wheel I'm getting. Mine is pristine other than a paint chip on the mute button (which drive me nuts). The dealers in town have done $$$$$ warranty work for me so perhaps they'll help out if things don't work. Here is another thread that may be of some help. It discusses enabling the true manual mode. Without this the shifters may just operate as gear limiters. Many people get that confused with manual mode. ...You get fast responsive throttle response in M mode. Passing on the highway becomes fun instead of a guessing what the car will do game. Just hold the downshift lever and the car drops to the most powerful gear. Perhaps I'm missing the point, but I was under the impression face-lifted 350's come with paddle shifters as standard. I don't think they were standard on any C-Class models until the w205. Which is just about a requirement since there is no shifter knob. But they are much more common on C350s and such. For the 2013 C250 I've only seen it available in cars with the dynamic handling package which also includes the dynamic suspension. I found one indy shop that said they can do the full manual mode recode for something like $240. Which seems a bit pricey. If I can get them to throw in some other coding work at the same time (such as throttle response and torque limiter) it might be worth it. My dealer is checking on it for me as well since my car has been living there most of the year. I got the wheel for $380 and I should be able to sell my old one. They move fast as the pre-facelift owners like upgrading their steering wheels. I didn't read all the comments. lol. My fault, lol. I was thinking out loud at the time I wrote most of the above. I should have the wheel by the end of the week. If I'm lucky my car won't be at the dealership long enough for me to get this done. I'll post it as DIY in a new thread. Although the pre-facelift guys seem to often do this mod. They discovered it works as a byproduct of a cosmetic upgrade. Last edited by michail71; 04-18-2016 at 07:44 PM. This makes sense. Regardless, here's a pic of my 2012 stock paddle shifters on the facelifted wheel, so it's definitely possible. I drove a 2013 C250 with Sports Plus package that had them too. It's interesting to read the C63 group discuss the manual shifting. They have problems of too much power in 1st gear and are upset the car can't start in 2nd. Even in the CLA250 I have now on loan will do a burn out in M1 but acts like a sleepy snail in C or S.
The throttle response in M blows away S mode. At least it is predictable enough you can modulate the throttle with predictable results. Oh, thank you!!!! The wheel replacement should be just a simple plug and play. I have two indy shops nearby that will both do programming. But the one I spoke to called back to tell me it was impossible. I may have to get the wheel in and demonstrate that the paddles will function as gear limiters. Perhaps if I can pass that info to them it may help. I'd like to get them to do that along with the torque limiter, throttle response and other transmission adaptions you did from the other thread. I'm worried though that my 2013 US spec car could have been stripped of whatever seems to be working in some of these other older models. He specifically said my can bus wasn't compatible. These cars really do come to life in M mode. The begrudgingly sleepy throttle response that plagues just about all Mercedes goes away. Did you get the insurance replacement for your equipment? Did you recode the instrument cluster too? Just updating this thread with the results for those that subscribed. It doesn't really require a DIY as there are plenty of wheel swap threads and videos. when you enable the paddle shifters and Manual mode, what are the modules required to be SCN coding ? Quick Reply: Adding paddle shifters to facelift w204?